Welcome to Holiday Inn Express Shanghai Jinqiao Central! 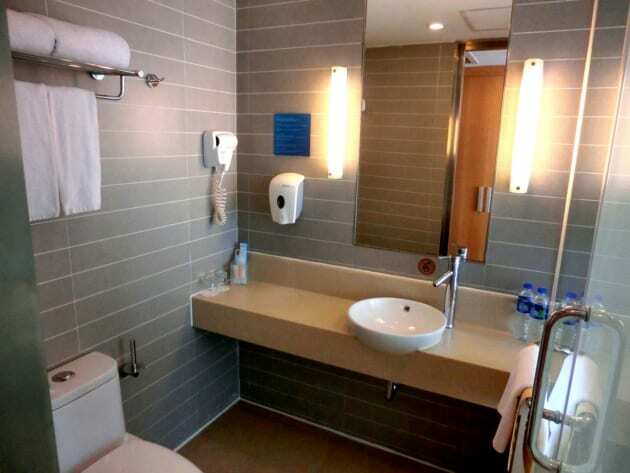 Holiday Inn Express Shanghai Jinqiao Central is an international business hotel managed by InterContinental Hotels group. It used to be one of the official hotels for 2010 Shanghai Expo. The hotel is located in Jinqiao, close to Jinqiao Export Processing Zone, Zhangjiang Hi-tech Park and Jinqiao International Business Plaza. It takes you 25 minutes to get to the Lujiazui Financial and Trade Zone, 35 minutes to get to Pudong International Airport and only 20 minutes to get to Pudong New International Expo Center from the hotel. The hotel is near to line 6, you can go to the Shanghai World Expo Park, the Oriental Pearl TV Tower and the Bund by underground. 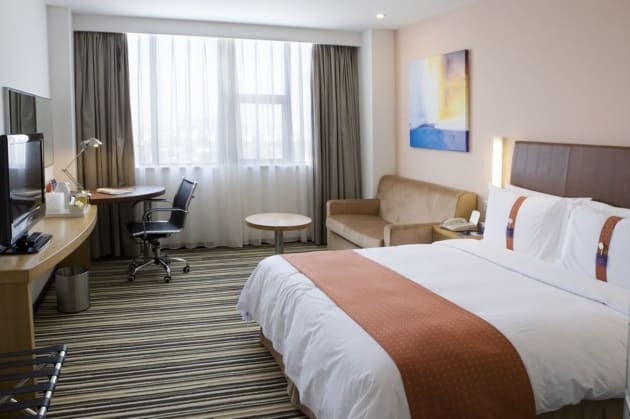 Holiday Inn Express Shanghai Jinqiao Central is a wise choice for both business and leisure travelers. The 12-storey-high building in modern and simple style has 192 rooms providing comfortable bed, clean sheets, two hard pillows and two soft ones, wish to bring you a wonderful stay experience. The rooms are also equipped with flat screen TV, high-speed Internet and large working table. 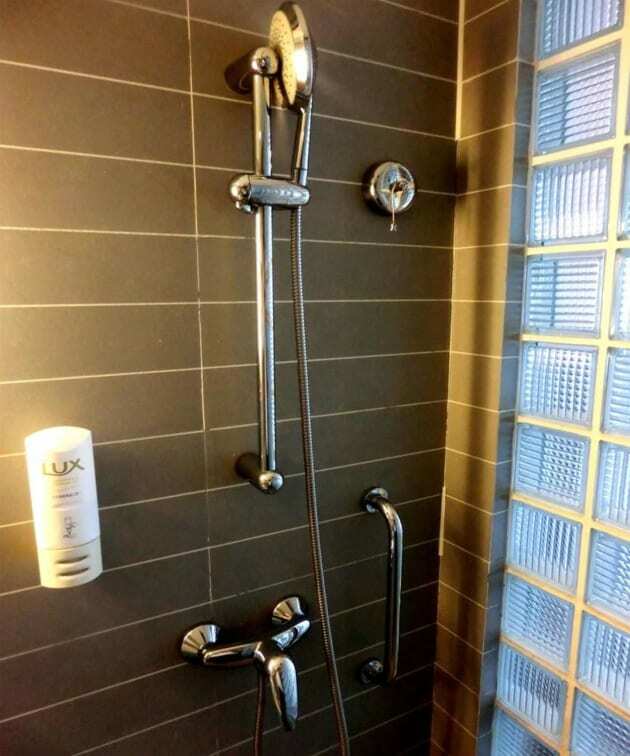 The exquisite design and good facilities will make you feel comfortable during the stay. 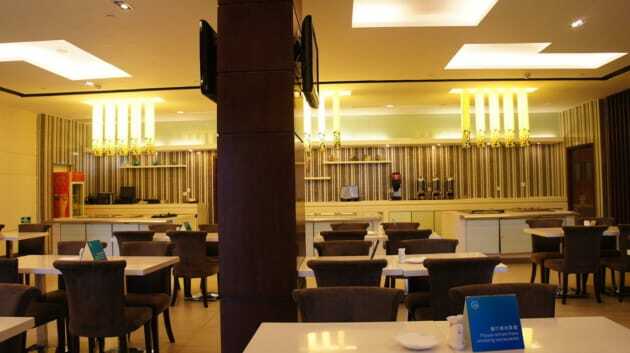 The breakfast and high-speed Internet both are free, enjoy your stay here! With a stay at Wyndham Bund East Shanghai in Shanghai (Yangpu), you'll be within a 15-minute drive of Shanghai New International Expo Centre and Shanghai Zhangjiang Hi-Tech Park. This hotel is 3.3 mi (5.4 km) from The Bund and 4.5 mi (7.2 km) from Oriental Pearl Tower. A stay at Seventh Heaven Hotel places you in the heart of Shanghai, within a 15-minute walk of Nanjing Road Shopping District and People's Square. This historic hotel is 1.3 mi (2.1 km) from Yu Garden and 1.4 mi (2.2 km) from The Bund. With a stay at Kingtown Riverside Hotel Plaza Shanghai, you'll be centrally located in Shanghai, within a 10-minute drive of Nanjing Road Shopping District and People's Square. 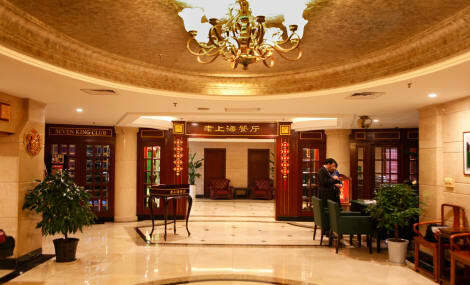 This hotel is 2.3 mi (3.7 km) from Yu Garden and 2.5 mi (4 km) from The Bund. With a stay at Kangqiao Wassim Hotel.pudong Shanghai in Shanghai (Pudong), you'll be 14 minutes by car from Shanghai Zhangjiang Hi-Tech Park. This 4-star hotel is 9 mi (14.5 km) from Shanghai Disneyland© and 9 mi (14.5 km) from Shanghai New International Expo Centre.